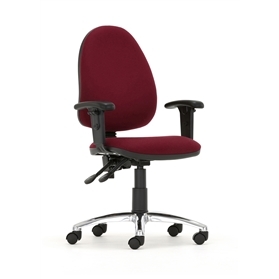 Mercury operator chairs with contoured seats and backrests plus a full range of ergonomic controls, provide comfort and support during prolonged periods of seated task work. Black nylon moulded base. 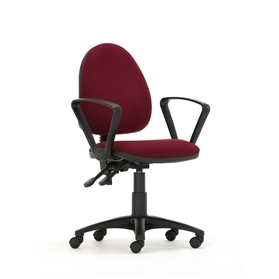 Standard 2 lever mechanism giving pneumatic seat height adjustment and back rake adjustment. Independent back height adjustment. RAL9005 Black finish to all components.